The Central Pacific extends through the Pacific Coast from Guanacaste to Dominical The Central Pacific Coast is one of the most popular tourist destinations in Costa Rica. The climate of the Central Pacific is not dry however and you will feel the heat and heaviness of the moist, tropical air so you have to adjust your body. Before you get to Manuel Antonio you can visit the banana port of the United Fruit Company in Quepos. 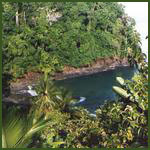 In Quepos the hotels and cabins are less expensive than Manuel Antonio. The world paradise will cross your mind with the National Park which is famous because of its several beaches. Having a close proximity to San José, the area offers the most easily accessible coastline in the country. Known for its variety of beach resorts, small resort towns and home to Manuel Antonio National Park, the country's most visited National Park, the region offers both Ticos and tourists a wide variety of activities. Some of the most consistent waves in the world continue to attract surfers with all levels of experience. From Jaco, the surf capital of the Central Pacific, surfing beaches extend all the way south to Dominical, a gorgeous area where the mountains are said to rise right out of the water. Throughout the region, waves for beginners through the advanced surfer are abundant, and international surfing competition is also found here. by Billabong, were held in March and April, 2009 in Playa Hermosa near Jacó in Costa Rica. The Central Pacific is also known to be the perfect destination for world-class deep sea fishing. Quepos, near Manuel Antonio National Park, has the reputation of being the sportsfishing capital of the world. Sailfish, black or blue marlin, dorado, wahoo and tuna are some of the most frequent catches. Less crowded than Manuel Antonia, Carara National Park is a biological reserve that is home to several ecosystems where an enormous variety of wildlife can be found. Other activities include golf at Los Sueños resort, white water rafting near Quepos, horseback rides through Del Pacifico rainforests, shopping in Jaco, and other water-related activities like snorkeling, wind surfing and water skiing. The South Pacific is a fundamental part of the geography of Costa Rica for its rich maritime geography. Two examples are: The Osa Peninsula and the Nicoya Peninsula. 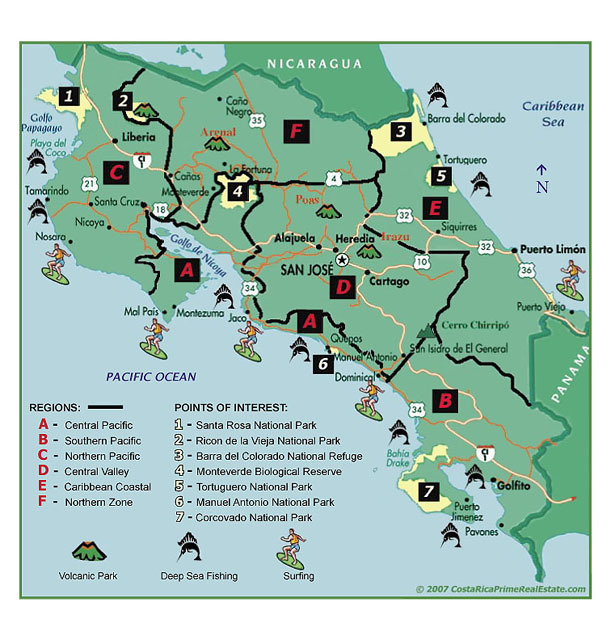 The Osa Peninsula and the Nicoya Peninsula are the two important peninsulas of Costa Rica. 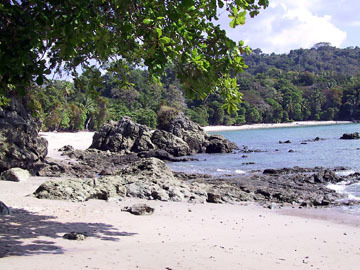 The Osa Peninsula is located in the southern province of Puntarenas. Despite being a relatively small area of extension, there lies a large number of tropical habitats: rain forests, coastal wetlands, mountain forests, among others. This region is located in the famous Corcovado National Park, which constitutes the largest protected area of Costa Rica and, characterized by dense rainforests, natural beauty, complex ecosystems and rugged coastlines, the Southern Pacific Region has been named “the most biological intense place on earth” by National Geographic magazine. The region features a number of national parks and private reserves, miles of uninhabited and unspoiled beaches drawing visitors from all over the world. If exploring nature, hiking through the region’s pristine forests or just simply gazing at the undeniable beauty of this vast region isn’t enough, other activities that are available include surfing, snorkeling, deep sea fishing, sailing, white water rafting and canopy tours. The North Pacific is the region with the most beautiful beaches in the country. The north of this peninsula highlights; Flamingo Beach, Playa Conchal, Playa Tamarindo, Black Beach and Playa Avellanas. At the southeastern of the peninsula are the highlights of Montezuma and Flamingo Beach. This is a white sand beach. There are several luxurious homes and some hotels. It is a very quiet place and can be practiced sport fishing and surf. Encompassing the entire Guanacaste province, the Northern Pacific Region is by far Costa Rica’s hottest and driest zone, yet features some of the sunniest and most popular beaches. Being the first area developed on the country's Pacific coast, a large number of condos, retirement homes, luxury resorts and several golf courses can be found. The international airport in Liberia was renovated and began servicing international flights from North America in 2005. This has brought even more development to the region and the long remaining stretches of beautiful deserted sand beaches may become a thing of the past. Regardless of crowd level, long hot summer days, with plenty of sunshine, gorgeous surf and pristine beaches very much describe this popular region. Located 35 kilometers northwest of Liberia is Santa Rosa National Park, home to one of the last and largest tracts of dry tropical forest left in the world. One of Costa Rica’s most remote protected areas, and one of the first national parks to be declared, there is great natural and historical significance here. Numerous species of flora and fauna can be found, and also among the protected are over 250 species of birds, 10,000 of insects (including 3,200 butterfly species), 100 of amphibians and reptiles and 115 mammal species. The rock formations in the extreme western section of the park have been dated at 130 million years old. History and nature lovers are not the only ones attracted to this area -- the gorgeous beaches of Naranjo and Nancite are also famous among both surfers and campers. On the eastern side of the Northern Pacific lies a chain of volcanoes that stretch out to join two mountain ranges on the border of the Guanacaste region - the Cordillera de Tilarán and the Cordillera de Guanacaste. 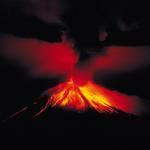 In this chain, one of the most popular volcanoes is found in Rincõn de la Vieja National Park. The beauty of this park encompasses tropical forests that can hide the volcanic activity found here. The slopes of the volcano, made up of nine identified craters are superb for horseback riding or hiking along perfectly designed trails which lead to higher elevated areas, where the live volcano can be viewed. Plenty of wildlife can also be spotted or one can simply enjoy the satisfying experiences found in bird watching. Lush dense forests with exotic vegetation and gigantic trees, bubbling mud holes, steam vents, clean cool rivers, dramatic waterfalls with calm pools all help to entice visitors into relaxing moods. In addition to some of the opportunities presented above, there are plenty of other things to do throughout the region including the obvious water activities like swimming, diving, snorkeling, fishing, boating, sea kayaking and surfing. Many tourists also come to the area to play golf at Playa Conchal and Hacienda Pinilla, two of Costa Rica’s finest golf courses. In all, there are eight golf resorts in Guanacaste and a plentiful supply of tennis. The Central Valley is large and a fertile land. It is surrounded by mountains. 70 % of the population lives here. If you explore these highlands you will be witness of the different climates changes. Also you can visit several volcanoes which are near downtown. 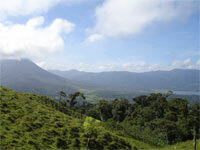 People prefer to stay in Heredia, Alajuela or Cartago to avoid pollution and noise from the capital. In the Central Valley you can catch the bus for any providence; buses go directly to the major tourist destinations. 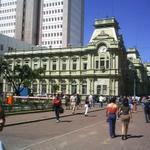 San Jose has the principal buildings, theatres, museums and governmental institutions. The governing cities of four provinces including San José, Cartago, Alajuela and Heredia all reside in the Central Valley, Costa Rica’s most populated region and home to over two-thirds of its inhabitants. Here you will find the nerve centers for the country’s manufacturing and finance industries, along with major medical centers, universities, commercial complexes, the main international airport and many other economic segments. San José, the Central Valley’s most populated city, offers tourists the alternative to take advantage of a big city-style vacation. This thriving metropolitan area is home to many alternatives in lodging, from the inexpensive to the more luxurious. Major attractions range from a variety of museums, theaters, national parks, the symphony, shopping malls and restaurants. Activities include an entire range of night life venues, tours featuring historical landmarks, cultural centers and coffee and sugar cane plantations. For those who like a little more physical activity, perhaps some exiting whitewater rafting, tennis, golf, mountain biking, horseback riding or hiking. Since the San José area is situated at an altitude of 2,900 feet above sea level, it is blessed with fairly mild and spring-like temperatures year round. Lush and green, the Central Valley is Costa Rica’s primary agriculture region and the ideal volcanic soil produces a rich, fertile environment for growing coffee, sugar cane and pineapples. The Carribean Coast is where the Caribbean Sea and the rainforest come together. There are several white sand beaches and transparent waters. Around a quarter of the Caribbean coast is protected. This coast is less frequented than the Pacific due to climate: while most days are usually sunny throughout the year there are record amounts of high humidity (even in the dry season), which is why rain is frequent. In this area there is a country of great cultural diversity: there are significant indigenous communities (Cocles, bribrís Talamanca and Cabécar) and a large Afro-Caribbean population. Also known as the Caribbean zone, this region is located between the coast of the Caribbean Sea and the borders of Nicaragua and Panama, stretching for 125 miles and extending inland to Braulio Carillo National Park. One of the least visited in the country, and with few large hotels, this region maintains its hot and humid temperatures year round and receives the highest amount of annual rainfall. Like other Caribbean havens, awesome white sand beaches lined with coconut trees are found here. The Caribbean Coastal Area offers nearby jungle explorations, hiking through primary forest areas like Hitoy-Cerere Biological Reserve, adventures into Indian reservations, bird watching in many different parks and refuges and horseback riding. Closer to the water in areas like Limón, world-class fishing can be found and an entire range of other water activities like whitewater rafting, ocean and river kayaking, surfing, diving, snorkeling and canoeing. Other points of interest are the TortugueroNational Park to the north where a tropical rainforest protects a vast array of wildlife, including the Atlantic Green Sea Turtles that provide annual nesting spectacles. South of Limón is the Cahuita National Park, where some of the most unique and exiting coral reefs in the world can be found. Further to the south, are the towns of Puerto Viejo, a popular Caribbean party spot and Gandoca-Manzanillo Wildlife Refuge, a system of parks and refuges and one of a growing number of protected areas that include marine animals. Partly because of this, Gandoca-Manzanillo and CahuitaNational Park are achieving worldwide recognition, not only because of their natural beauty, but because of they are becoming unique conservation places in almost the whole Caribbean. The Northern Lowlands are known for the picturesque villages that receives throughout the year many tourists mainly because of its proximity to the volcano Arenal (about 6 km). There are several restaurants and bars around the main square. There are also several activities like canopy; suspension bridges the beach and hiking through the area. You can also visit La Fortuna Waterfall, which owns a jump of 70 meters and several natural pools. To reach these pools and observe the fall of water, we must descend a path that, not long but very steep. Those who wish to relax; they should not miss the hot springs that exist in this area. And then there is Arenal, located in north central Costa Rica. It’s Costa Rica’s lake country, and it ticks all the right boxes for a growing number of expats and retirees. The weather hovers in the high-70s year round. There’s enough rain to keep the landscape fresh and green. Arenal often reminds visitors of Lake Tahoe…without the crowds. If you love hiking, swimming, windsurfing, fishing, boating, bird watching, horse riding, or kayaking…this place is paradise. It’s a secret part of Costa Rica, where you’ll find gourmet food, good company, and property prices that seem to belong in a history book.